After a long wait, Google Drive is now available for the iPad with the full functionality of the web-based version of Google Drive. To refresh, Google Drive is the new name for the Google Docs Suite. 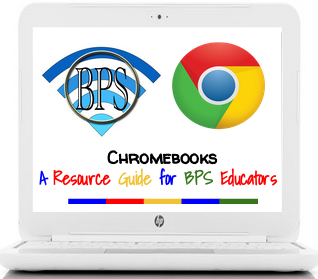 This suite includes Google Docs, Spreadsheets, Presentations, Forms, and Folders. The updated version of the Google Drive app allows you to create, collaborate and edit documents with ease on the iPad. Before, this process was rather cumbersome through the mobile view and desktop interface on the iPad, however much has changed with this update. Users can also upload photos and video right to Google Drive directly from the iPad. This will allow students to upload video projects and photos immediately. The Google Drive app also gives users the ability to organize their entire Google Drive. Users can create and share a folder as well as create and share a doc through this app (at this writing only docs can be created directly through the app). Also, users can move docs to folders and organize their entire Google Drive from the iPad app. While creating presentations, spreadsheets, and forms is still unavailable, I imagine this feature will be added soon. Even though you cannot create presentations, spreadsheets, and forms directly from the app, users can still view these documents within the app. In addition, users can open a Google Spreadsheet and access the “open in…” feature from the app that will allow users to open the spreadsheet in supported apps (such as Notability, Evernote, Dropbox, etc.). For presentations, users can view and present from the app, but not yet create a presentation directly from the app. Again, I imagine these features are not far behind this update. Users also have the ability to share a doc directly from the app and can access a populated contacts list from simply typing in the first letter of the email. The share feature also allows the doc owner to set permissions for “can edit”, “can comment”, and “can view”. The doc owner can also toggle viewing permissions and completely remove a user from the doc. If you’ve struggled with Google Docs on the iPad in the past, this is update will make your life and classroom work-flow more enjoyable. This is not a perfect update, but it is a giant step in the right direction for those of us using Google Apps for Education in a 1:1 iPad environment. If you have any questions about this update, please visit the help desk for assistance. September 18, 2012 in Docs & Drive, iPad Apps. Google Classroom Mobile App Has Arrived!